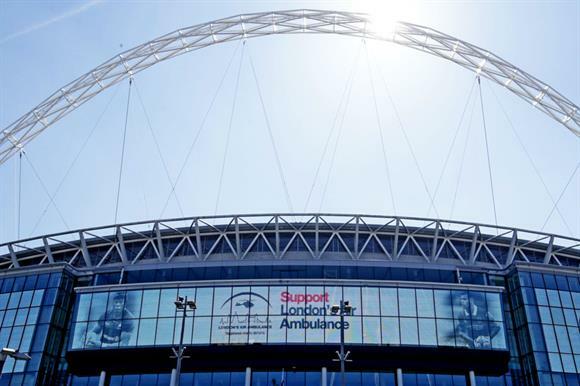 A three-year partnership between London’s Air Ambulance and the rugby club Saracens kicked off at Wembley Stadium earlier this month when the charity had the chance to spread its message to 71,000 fans gathered for the club’s derby match against Harlequins. Simon Walsh, one of the charity’s doctors, conducted an on-pitch interview with one of his patients, and the charity gave a helicopter fly-by and displayed its banner on the pitch to promote its work to the crowd. The club also publicly pledged to support the charity and footage from Saracens’ visit to the London’s Air Ambulance helipad were shown on the stadium’s digital screens. The children’s charity Barnardo’s has been chosen as the charity partner of Land Securities, the UK’s largest commercial property company. Staff at the FTSE 100 company voted for Barnardo’s to be picked for a three-year partnership, and in a statement the firm said it hoped it could raise "a significant amount" of money. Fundraising events for Barnardo’s took place in Land Securities offices and retail sites around the country last week. Robert Noel, chief executive of Land Securities, said: "It is a real privilege for us to be able to work with an organisation that makes such an important and meaningful difference to the lives of children across the UK. We are very much looking forward to a long and productive partnership." The housing and homelessness charity Shelter has unveiled an 18-month partnership with the Moneysupermarket Group across England, Scotland and Wales to help support the charity’s Digital Advice Service and raise £45,000. The Digital Advice Service allows people who are struggling with homelessness or bad housing to discuss their situations safely and securely, and the financial support provided by the partnership will allow Shelter to support almost 5,000 people, the charity estimates. As well as working with Shelter on specific initiatives, the Moneysupermarket Group will also be encouraging its 600 employees in Wales, London and Manchester to raise money for the charity. Staff have already raised more than £1,000. Sam Davies, head of corporate partnerships at Shelter, said: "With a specialism in financial guidance through digital services, the Moneysupermarket Group offers us a wealth of opportunity. Through fundraising and skilled volunteers, partnerships like this help to make sure no one has to fight bad housing or homelessness on their own." Caroline Ross, chief people officer at the Moneysupermarket Group, said it was proud to be supporting the charity.